Your proposal determines whether or not your book will sell to a publisher, or even get represented by nonfiction agents. A good proposal is a precise document, one that proves you are a subject matter expert and clearly outlines how the your “platform” – your growing fan base – will help sell lots of copies of the book once it is released. Because a well-written, properly crafted, thorough book proposal is mandatory, Keller Media offers authors a complete online video-based learning system so you can create the best nonfiction book proposal you possibly can. A book proposal written by a highly-qualified, consistently published professional ghostwriter will run you between $5,000 – $30,000 (at the extreme end), depending on the ghostwriter’s credits. It is typical for C-level executives, celebrities, sports stars, politicians, doctors, attorneys and busy entrepreneurs to delegate this task. This option is only available to authors under contract to this agency. Learn at your leisure! Take as long as you want to review these excellent, focused videos with companion workbooks. 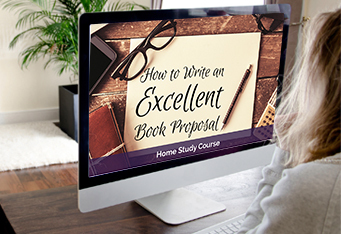 You’ll be able to create a truly exceptional book proposal that will allow you to show your book to its best advantage to agents and publishers. Wendy’s clear, concise strategy has been used by many thousands of now-published authors. A well-crafted book proposal is the key to your future as a nonfiction author.